The brand new 2020 Jeep Gladiator has everything that the Wrangler brings to the table and more. With the same off-road capabilities of a Wrangler, the Gladiator also comes equipped with an additional truck bed attached to the back, giving drivers the best of both worlds. With the ability to tow up to 7,650lbs, the Jeep Gladiator pickup is prepared to handle just about anything you throw its way. Just like the Wrangler, the Gladiator offers superior off-road capabilities as well as a removable soft or hard top. But one of the most unique features of the Jeep Gladiator that makes it stand out from any other Jeep model is its 5-foot truck bed. The Gladiator rises above the competition with a Best-in-Class payload of up to 1,600 pounds. Better yet, you can add in versatile truck bed features like a three-position tailgate, an available roll-up cover, and even an 115-volt power outlet. 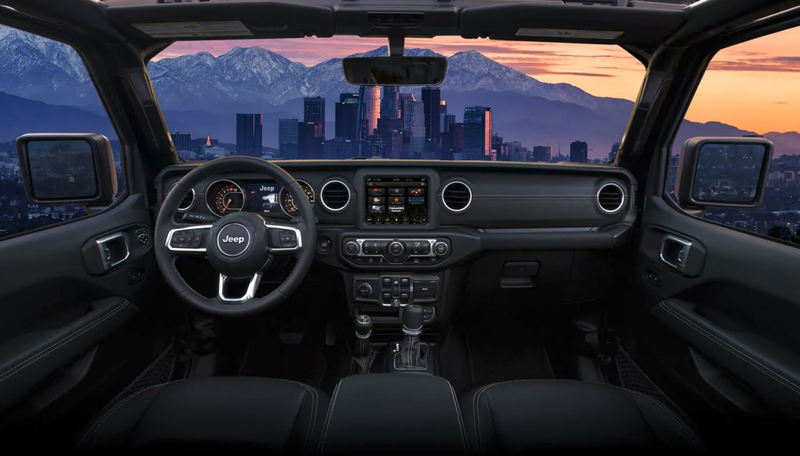 Style and functionality are impressively combined in the interior of the 2020 Jeep Gladiator. Available interior features include an optional 8.4 touchscreen monitor, equipped with Apple CarPlay and support for Android Auto. Feel like taking your radio with you outside? That’s no problem with the available industry-exclusive removable Bluetooth wireless speaker. With optional leather-trimmed seats and innovative storage solutions, your Jeep Gladiator is just as useful on the inside as it is on the outside. When you drive a Gladiator, you know that you’re equipped with the same off-road capabilities of every Jeep 4×4. Every 2020 Gladiator is equipped with heavy-duty Dana 44 front and rear axles along with a 4×4 system that gives you both high and low ranges. On top of superior off-road performance, every Gladiator’s engine is powered by a 3.6-liter Pentastar v6 engine that produces 285 horsepower and 260 pound-feet of torque. Depending on how you like your ride, you can choose between the standard six-speed manual or the optional eight-speed automatic. The 2020 Jeep Gladiator is set-up with 5-link rear suspension, which is different from the live axle used on the front and rear of the Wrangler. This not only provides a smoother ride, but it also helps with load carrying capability. Another unique option that’s available in the Gladiator is its electronic disconnecting sway bar. This system allows you to electronically disconnect your sway bar, allowing your front wheels to drop, resulting in improved suspension when you’re faced with challenging off-road paths. The Jeep Gladiator starts at approximately $35,000 MSRP. Pricing for various models to be announced at a later date. Which Trim is Right for Me? Best-in-Class towing and payload, with towing capacity of up to 7,650 and a payload of up to 1,600 pounds. Zipperless Sunrider soft top and available three-piece Freedom Top hardtop. Multiple ways to let the sun in, with removable doors and a fold-down windshield. Five-foot truck bed that comes with an easy-to-lower three position tailgate. Aluminum 17-inch tech silver wheels that offer style and impressive motion. Available weatherproof 115-volt power outlet that’s located in the bed of the Jeep Gladiator truck. Apple CarPlay support and Android Auto integration will put your smartphone right at your fingertips on the available 7-inch or 8.4-inch touchscreen monitor. Premium exterior options like 18-inch granite crystal wheels and side steps. Options like Adaptive Cruise Control and Forward Collision Warning with Active Braking. System that allows you to electronically disconnect your sway bar so you can conquer challenging off-road maneuvers efficiently. Equipped with 33-inch tires with high clearance fender flares, delivering impressive traction and 11.1-inches of ground clearance. Available TrailCam off-road camera that helps you keep aware of obstacles that might be on the trail ahead. This feature also provides dynamic tire path gridlines to help the driver select the best vehicle path on tricky terrain. 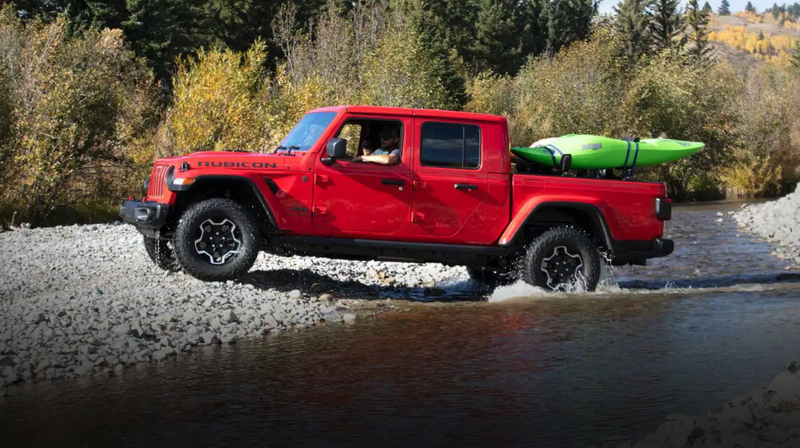 So, what’s stopping you from getting on the open terrain with a new 2020 Jeep Gladiator? Whitten Brothers of Richmond would love to put you in a brand new Whitten Jeep Gladiator. In addition to a huge selection of new and pre-owned vehicles, we have top rated financing and service departments. We have been serving the greater Richmond area for over 100 years and are still here because we care about our customers! Have questions? 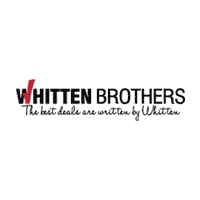 Use the contact form below or call Whitten Brothers of Richmond today. Get in line to order your Gladiator today!